"Toy Story 4" premieres in the U.S. in June 2019. Next year is shaping up to be a huge revival for a pair of Disney's most successful films from the mid-90s. We already knew about the widely hyped live-action version of "Aladdin" coming out next May, with Will Smith reprising Robin Williams' classic role as Genie. We now also have confirmation that Disney-Pixar is going to make a fourth installment of the landmark 1996 film "Toy Story." 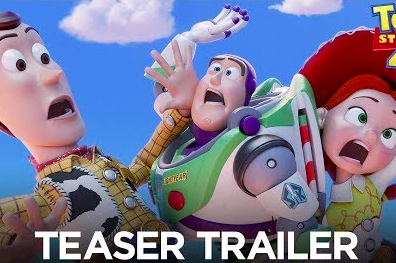 The company released the first teaser trailer for the summer 2019 film on Monday, a surprise to most who thought the franchise ended when Andy went off to college. The last movie, released in 2010, grossed $1.067 billion at the box office and went on to win Oscars for Best Animated Feature and Best Original song. The idea that Disney-Pixar would leave such popular demand and critical acclaim on the table was always unlikely, despite the neat passing of the torch at the end of "Toy Story 3." The trailer doesn't give a clear look at the narrative behind the new movie, but seems pretty apparent that one of the characters is having an existential crisis. Forky will be voiced by comedian Tony Hale, who joins returning stars Tom Hanks (Woody), Tim Allen (Buzz Lightyear) and Joan Cusack (Jessie). Circle your calendars for the U.S. theatrical debut on June 21, 2019.